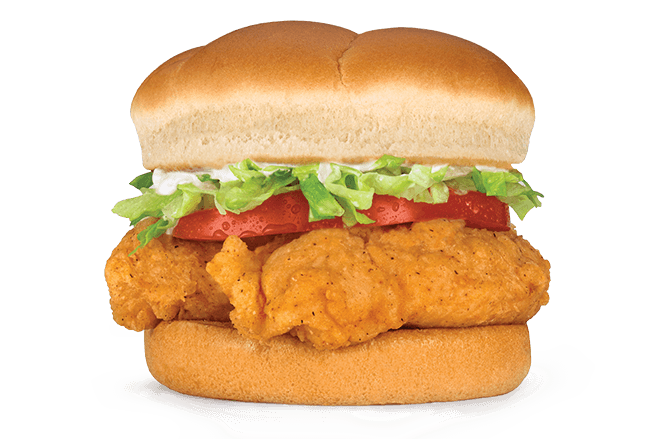 Juicy 100% all white meat chicken, hand-breaded to perfection. New larger shrimp served with fresh coleslaw and hot fries. Golden-fried cod served with fresh coleslaw and hot fries. 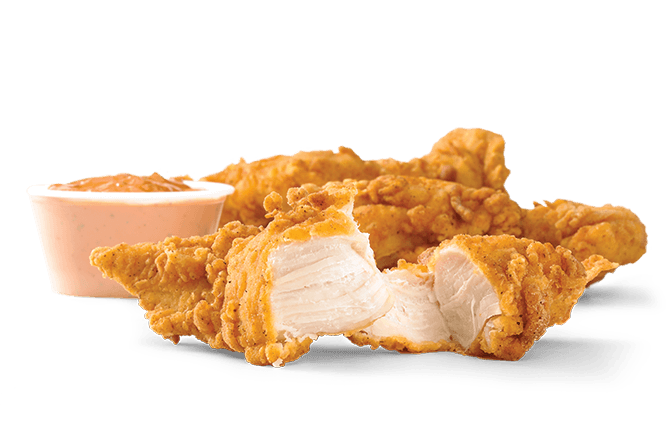 Everything’s better when it’s handmade, including our 100% all white meat chicken tenders. Made right, every time and served with your choice of signature sauces. Want your tenders with a little something more? Two 100% all white meat chicken tenders, hand-breaded or grilled. Served with lettuce, tomato, and your choice of sauce on a toasted bun.